Well known for the Early Anglo-Saxon settlement previously excavated on Rookery Hill and its impressive pre-Conquest church, Bishopstone has entered archaeological orthodoxy as a classic example of a 'Middle Saxon Shift'. 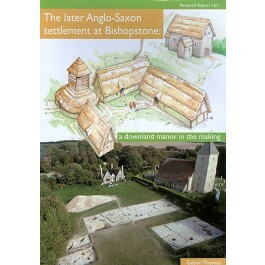 This volume reports on the excavations from 2002 to 2005 designed to investigate this transition, with the focus on the origins of Bishopstone village. Excavations adjacent to St Andrews churchyard revealed a dense swathe of later Anglo-Saxon (8th- to late 10th-/early 11th-century) habitation, including a planned complex of timber halls, and a unique cellared tower. The occupation encroached upon a pre-Conquest cemetery of 43 inhumations.